Keyword research and Analysis of SEO, there are many important fragments. Getting and identifying each and every useful initiatives as part of your information up-gradation is a time spending thing. Keeping keen in watching videos uploaded by Google webmaster help will surely increase your seo knowledge. Listen all of those most watched seo help videos regularly. You can can lot of seo tips and guidelines by watching those video files. 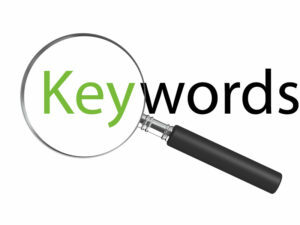 Keyword research is most important part in search engine optimization process. In keyword research and analysis, there are hundreds of free SEO resources available. Among those free seo resources, Google Keyword Tools, webmaster tools, Google Analytics, Google insights etc are free and highly useful for search engine optimization. Keyword suggestion tools by Rankpay, semrush etc are highly advisable keyword research tools. Google custom search is an exciting keyword research tool by with we can easily identify all related keywords and key phrases. There are hundreds of paid and non paid tools are available in many websites. Google Webmaster tools and Google Analytics are mostly used tools for analyzing and monitoring a website. Opensiteexplorer by SEOmoz, is highly useful seo tool. Website name submit express provides golden tools like meta tag analyzer, broken link checker, keyword density checker etc. If you wish to improve your seo knowledge and keep updated, you can register with useful seo forums like SEO Youmoz by SEOmoz, Search Engine Land, etc. Reading question and answers coming in Google web master tools help forum can make you unbeatable seo.